Minister of Transport, Rotimi Amaechi who was the APC Presidential campaign manager for the 2015 general election, says Nigerians owe him a lot for working tirelessly as the party campaign manager to bring them out of a corrupt government. 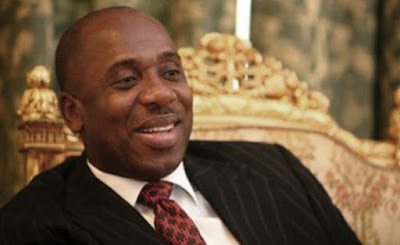 In a recent interview with Channels, Amaechi said Nigerians were tired of the past government. "Nigerians wanted change. The level of corruption was very high so Nigerians wanted to contribute to remove that government. I believe that Nigerians owe me alot. When I seat in my house, I feel that Nigerians owe me alot. First, we saved this country from that level of corruption. Corruption where you see $50 million at Osborne street and those who shared in the corruption are busy dancing about it"he said.